Kia Sorento Interior, Sat Nav, Dashboard | What Car? 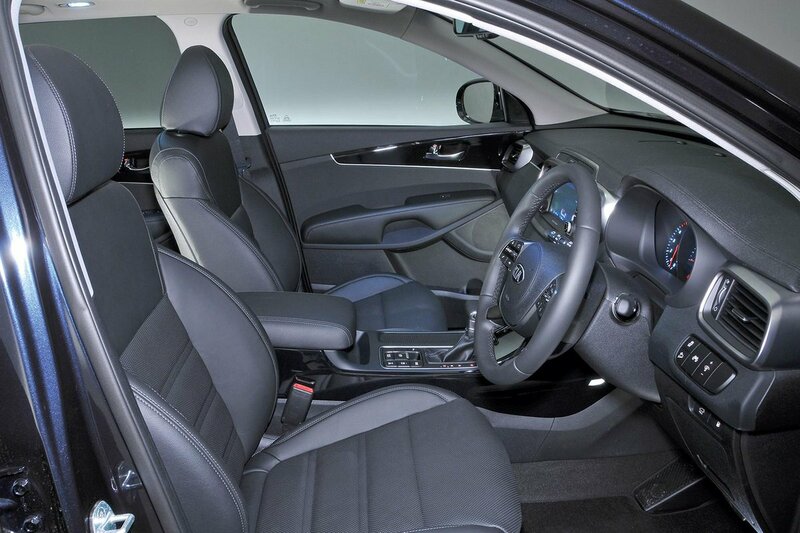 You get a comfortable driver’s seat that has plenty of side support. 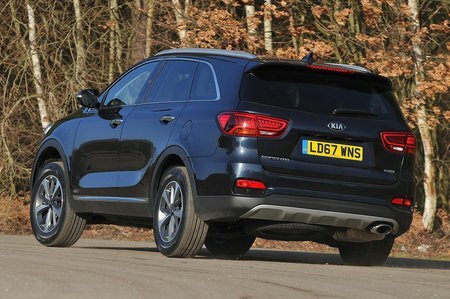 However, the cheapest KX-1 and KX-2 versions miss out on adjustable lumbar support, which limits the Sorento’s appeal as a long-distance cruiser. KX-3 models have eight-way electric seat adjustment, while going for top-spec GT-Line S gets you 10-way electric adjustment with a memory function. Whichever trim you go for, though, the driver’s seat has a good range of adjustment – both back and forth and up and down. Cars with a manual gearbox have pedals that are neatly aligned with the driver’s seat, so you won’t find yourself sitting at a skewed angle for hours on end. The automatic versions are just as comfortable and have a well-positioned rest for your left foot. You won’t have any problems with the air-con controls, either; they’re intuitive and the buttons are large, so it’s easy to tweak the interior temperature on the move. The Sorento has that lofty throne-like seating position that SUV buyers love, providing a commanding view of the road. Your view forward and to the side from the driver’s seat is excellent, helped by a large windscreen, thin pillars and broad front side windows. 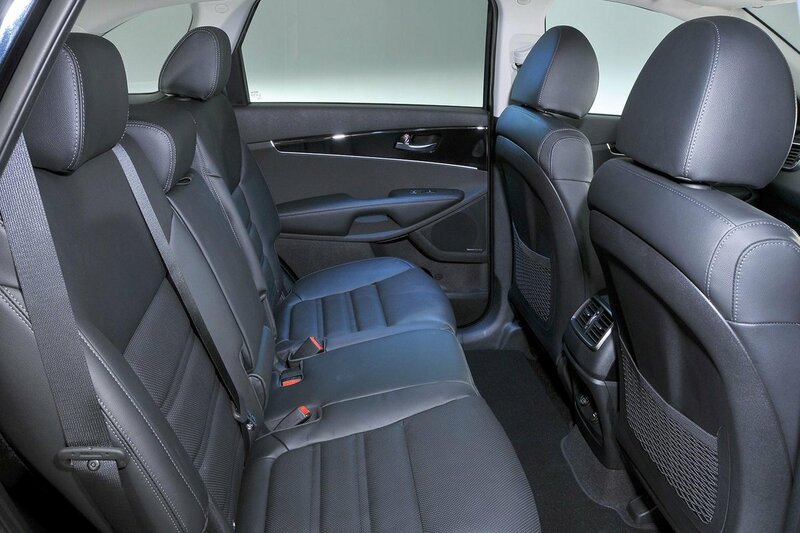 The windows in the middle row are also big, so sideways visibility is equally good for those sitting in the back. Anyone in the third row isn’t nearly as lucky, though; the windows back there are small and the steeply rising windowline badly restricts their view out. That windowline also compromises your over-the-shoulder view from the driver’s seat, although all versions get rear parking sensors and a reversing camera to make backing into spaces even easier. Opt for GT-Line S and you even get an around-view camera with parking assist that steers the Sorento into a space as you operate the accelerator. Even the entry-level KX-1 comes with a DAB radio, Bluetooth (including audio streaming), voice control, six speakers, a USB socket and Apple CarPlay and Android Auto smartphone mirroring. All this is controlled through a 7.0in touchscreen. Upgrading to KX-2 and above gets you a better system – an 8.0in touchscreen that also has sat-nav. This system is simple to use because the on-screen buttons are large and clear, so are easy to press while driving. The menus are simple, too, while connecting your mobile phone takes seconds. KX-3 and GT-Line S models go one step further with a 10-speaker Harman Kardon stereo complete with a subwoofer. If you like music, it’s worth considering, although we wouldn’t upgrade to those trims just because of this. The Sorento’s interior is one of the best-screwed-together of non-premium SUVs. Everything feels solidly bolted together and the dashboard is soft to the touch with a clever effect that makes it look as though it’s wrapped in leather, even though it isn’t. For the most part, the switchgear is nicely damped, too, although some of the buttons and switches on the steering wheel feel a little flimsy. Don’t expect Audi levels of quality, but the Sorento is better built than a Land Rover Discovery Sport.